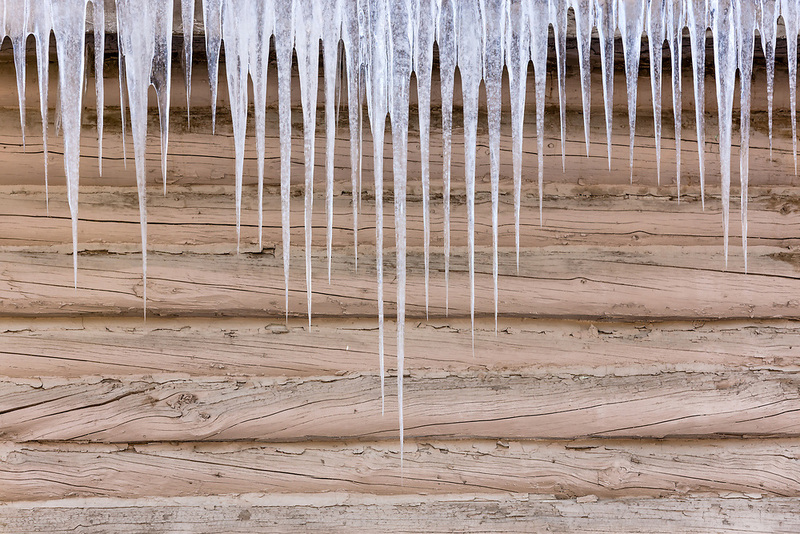 Icicles hanging from roof on building in Southcentral Alaska. Winter. Morning.